Have you tried Real Salt? Those of you who read my blog know I use it regularly and absolutely love it! What's so special, you ask? This is all natural sea salt from Utah. No, it does not come from the Great Salt Lake. It comes from an ancient sea bed that is located in Utah. I am happy to use such a great product from my home state. When I first tried it, I was amazed. 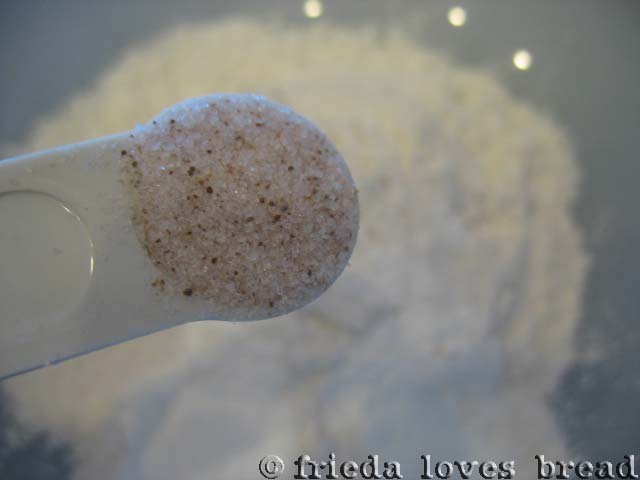 There is a subtle sweet flavor and it is almost impossible to over salt your foods. The only way you will know is to try this yourself. Guess what? Real Salt is going to give away one of these amazing gift packs to one of my lucky readers! This is an awesome crate gift pack the contains 4 oz. of each of the following: Garlic, Onion, Season Blend and Regular Granular Salt. I had no clue that this company made any of these cool blends. 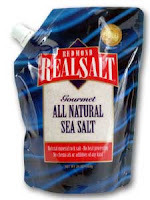 If you want more information on this product, check out the Real Salt Blog. So what do you do to win? Simply leave a comment telling me what you want for Christmas! Please leave a contact email if your profile does not include one so I can reach you if you win! Nitty gritty details: Giveaway is open to my U.S. readers and will end at midnight MST on December 31, 2010. Winner will be selected by Random.org and announced on this blog shortly thereafter. Real Salt is providing the giveaway and I am not being compensated in any way for this post. I simply love this product and would love to invite my readers to try it. I have to answer differently than your choices, it's before Christmas but I already have my favorite present. Hubby bought me a new (to us) car! It's even a nice pretty red for Christmas. 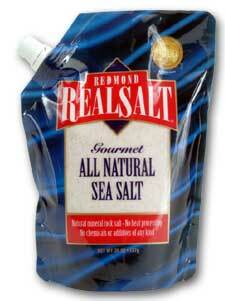 I didn't know real salt had blends. What would I like for Christmas? That's easy, a job for my husband, he's been looking for a long time now. That is some amazing salt! I've been wanting to try it for a while now. I better break down and get it! Something I've been wanting for christmas was a french-style rolling pin...but a friend gave it to me for an early christmas present last week. I've been LOVING it!!! I also want a silpat. BAD! Hmmm. I bought and wrapped new kitchen rugs for Christmas. Does that count? There are a couple cookbooks that I'd like for Christmas. That salt looks delectable! I use plain sea salt but haven't ever tried this stuff. I'm asking for a remote car starter for Christmas! We don't have a garage and in the snowy, icy winters Nebraska is so known for, scraping and chopping and defrosting my car is a miserable start to every morning! I already got an early present....a new laptop. I really needed it! Now I need a new crock pot. Mine quit working last week....bummer! It was only 3 years old. I contacted crock pot company, and they said "Sorry, it is no longer under warranty." Sometimes I think they are making small appliances disposable. Rod loves that salt! It's been a while since we ran out, so we'd love some more! I want what I'm getting... the whole family here for Christmas! I'm intrigued by the idea of "sweet" applied to salt. If I win I'll have a chance to find out. I always use sea salt but I did not know it came in different flavors. I would really like to try the different flavors and for Christmas, well, I sure would enjoy getting a vinyl machine. Tura via RSS feed: I want a new kitchenAid mixer for Christmas. I want some instructional sewing books. What a fun question! I would enjoy a larger stock pot and another pair of wooden tongs. My children used it to remove toast from the toaster but one day my five year old go to excited and broke them. I got a new KitchenAid! It was a birthday/christmas present since my birthday was a couple of days ago. I've never had this sea salt but everyone always says that is is so good. For christmas I would love a new tv. 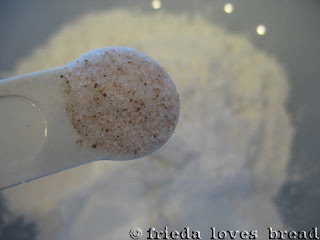 Oh, I love, love this salt! I didn't know they offered blends either. How fun! I have to say that I already opened a gift that I had been wanting; a le creuset pot! I showed my hubby a cheapie one from Sam's Club, but he knows how much I love to cook and wanted to get me a quality one, so he got it for me. I hardly dared use it the first time, but love it already! Let's see, what do I want for Christmas? I'll take just about anything. I'm pretty easy to shop for, I'd take new clothes, books for my Kindle, teaching books for when I get out of school. I love this time of year! For christmas I would like some new sewing basket and a bottle of my favirote perfume. All I want for Christmas is a new microwave. This salt is really interesting. I would love to try some! Love this brand of salt... I didn't know they made flavored salts either. Your pancakes look yummy!